Honest conversations about academics, career advice, business, and life. All the while, I've seen trends... truly deteriorating, even from when I was in college. Too many stories are in existence where students get four year degrees and end up in an entry level retail position that had nothing to do with their education - and - didn't need said education to begin with! What is worse, I've seen people pursue 4-8 year degrees only to realize at the end, whatever they got their degree in, really wasn't for them. "What are you going to do with that (major)?" "Take your time... find yourself!" "Will you have access to internships?" "Isn't that (insert field here) super competitive right now?" Yuck. This post isn't about the intangible value in education. I mean, really, look at my profile. Do I look like someone who's slamming the virtues of education? Of learning? Even at this moment, I'm only taking a break from studies in completion of an MBA. So, certainly not! However, I do believe that there's an epidemic of situations out there where students are collecting for themselves insurmountable amounts of loans and trading it in for a piece of paper, and, very little change in their earning potential and earning power compared to before they graduated. In my humble opinion, I think we need to reevaluate how we approach education such that we meet it with success, not debt nor any myriad of internal dissonance. 1. Education is about empowerment; not enjoyment. I understand that the "college experience" and many other perspectives like it are quite popular. However, in the end, college education costs a lot of money. A LOT. If the selection of schools is based on reputation, the social scene, the athletics, etc... and these elements do not directly intersect with your career path, then you are in for a world of financial hurt. Education is about empowering the student to become a value added graduate to the scene of work they intend to become part of. Whatever you are learning, whatever you aim to experience in college (or through graduate studies) - be sure that these experiences make your abilities as one who is after - a more productive individual. 2. Make sure you're are being educated, not informed. Truly, I'm sorry for this point - but - I'm calling the system out! A constellation of reasons, causes, blames, and finger-pointing exists to explain why much of education has deteriorated to being a system of regression, rather than a culture of excellence. The evidence is plain: excellence in education should tell of people excelling in what they are doing with what they have learned - rising above the "average" and into the very pinnacle of performance. If the spirit of excellence were truly the soul behind our current educational systems, then we should hear less of students in debt and less of college graduates working retail plus 3-5 years post graduation. We should be hearing more about students creating companies from the ground up; connecting ventures and adding value to the community. Which story do you hear more of? Sadly, I hear more about the first. Even the knowledge of many of my undergraduate colleagues saddens me to share than a significant chunk of individuals graduating with 4-year-degrees spend several years at jobs by which they could have acquired while in high school. This, to me, tells me that most students are taught what to think; not how to think objectively for themselves. Therefore, the most important aspect in choosing the educational institution for which you intend on investing the best years of your life is this: will this college/university sharpen my mind? Will it teach me how to learn and discern? 3. Education should directly add value to your position in the job market. Licensing, credentialing, certifications, and other legally protected scopes of practice is a good way to go about finding value-adding education. Other venues include specific engineering degrees, business specific degrees, education specific degrees, etc. Essentially, the education you pursue should directly relate to a field of work for which you wish to contribute and receive benefits from said marketplace. Sadly, this typically means that societal topics of education such as the arts, languages, and basic sciences don't typically add much value to those graduating with their Bachelors of Arts degree. What is necessary in these areas are the connections you make with the people in the field and the talent you demonstrate. That said, while there is absolutely nothing wrong with majoring in Latin, it is most prudent to connect the mastery of the language, art, or otherwise with a market by which you can sustain such interests. In other words, if you really love Latin that much, why not teach it? 4. Be goal oriented, but process driven. Dovetailing off of point #3: It is important to have a goal in mind. This could be as simple as "I want to be a dentist." This means your undergraduate studies, your major, and those prerequisites should directly lead to entry into dental school. However, you must also keep in mind the process involved. Many processes in both the graduate, undergraduate, pre-professional, post-professional, trade, art, and para-professional educational arenas require some rather lengthy processes before you get through to the goal. This means that you must be quite detail oriented and remember to utilize that end goal as your driving force to fuel momentum, motivation, precision, and endurance during this process of acquiring your education. 5. Connect With Your Teachers. It is very easy in the university setting to become lost; a name, a number, a student ID, an access PIN, and a transcript. What is most valuable in these larger settings is the opportunity to be inducted into the inner circles amongst some of the most renown names, world class minds, and fellowships in academic society. Furthermore, academics have a funny way of knowing, influencing, and persuading those in the business world. Your professors will ultimately be the best source for letters of recommendations, internships, access to real-life-experience, and introductions to those who you will ultimately be working with in the field and/or industry. Get to know your teachers! While some professors may seriously be focused on their tenure, research, etc... there are still those who love to teach and have the passion to help students succeed. Find them. Stay close. Learn much. And, they will bestow gifts and blessings in many forms. Education has truly changed. There is no guarantee that any degree will lead to a job, financial stability, career, or a happy life. Education has entered a changing phase, an early form post-literacy. While it's not entirely to the point where we don't need literacy, the original intent of education becoming a stepping stone has certainly left us. Bachelors are the new high school diplomas. Masters are the new bachelors. Doctorates are the new masters. Double doctorates are the new doctorates. Multiple field degrees are the new double doctorates. Therefore, instead of going down a road which very likely leads to innumerable amounts of debt with no financial, professional, or personal direction - be sure to ensure your educational success. Make sure you are going down a road where you are going to be empowered. Be sure you are learning how to think; learning how to reason, discern... to gather, analyze, synthesize, and apply knowledge. Commit to your goals with a passionate direction; focused on the details, determined to the process. And, always remember, education is no replacement for relationships. Find mentors, both academic and professional. Make connections with people -- for it is people you will be working with and it is people who drive the market. It is, has been, and will always be people for which your education will prove to be successful for, useful to, and helpful in. There's another way: manage your time properly, especially during creative crisis. While lacking ideas, it's a good solution to get help from somebody skilled. For example, students who are having issues with preparing college essay paper can visit collegewritingservice.org, a service that provides college paper writing service for international students for a reasonable price, made by skilled and experienced writers! Virtual Business Executive & Consultant. Real-Time Academic/Career Counselor. Doctor of Physical Therapy. Master of Business Administration. Degrees also in Bioengineering & Psychology. Learner of Martial Arts. Lover of food. Conceptual Minimalist. Theme Park Junkie. Husband. Father. Friend. Please feel warmly welcome to email me at contact@drbenfung.com. I'm looking forward to hearing from you. 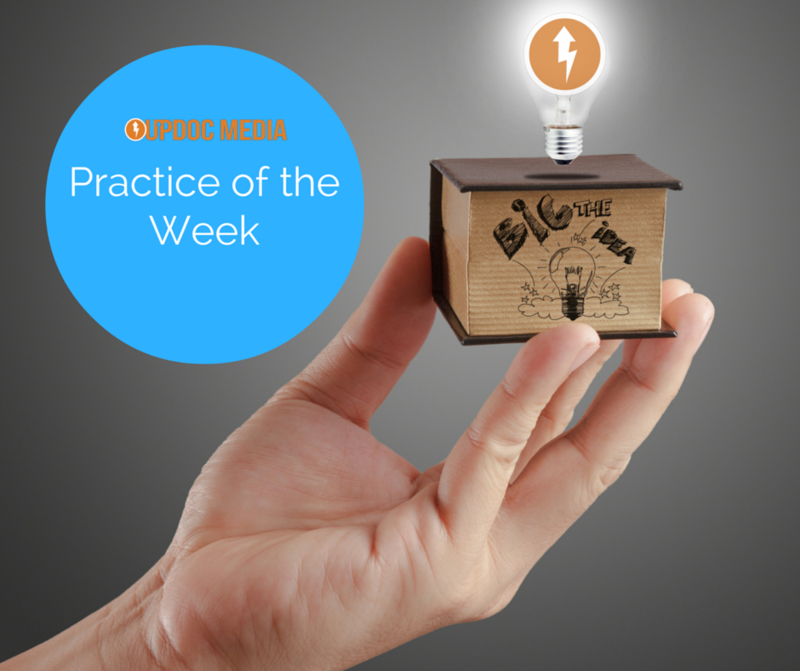 Win "Practice of the Week!" Do you want your practice to be recognized and seen by tens of thousands of people? Enter to be in the runnings for UpDoc Media's Practice of the Week contest! Interview with "The Cynical PT"
Copyright Dr. Ben Fung, PT, DPT, 2013. Travel theme. Powered by Blogger.